A light-pressure turbocharged 2.5-liter inline-five-cylinder engine delivers 208 horsepower to a five-speed-automatic transmission. 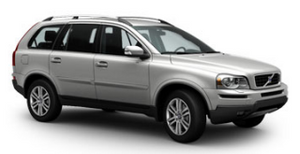 Volvo’s bi-turbo 2.9-liter inline-six-cylinder engine in the T6 model sends 268 hp to a four-speed automatic. All-wheel drive is standard on the T6, and the 2.5T model may have front-wheel drive.